The new logo for the Miss America pageant is pictured here. The 2018 Miss America Competition at Atlantic City's Boardwalk Hall, Sept. 10, 2017, in New Jersey. 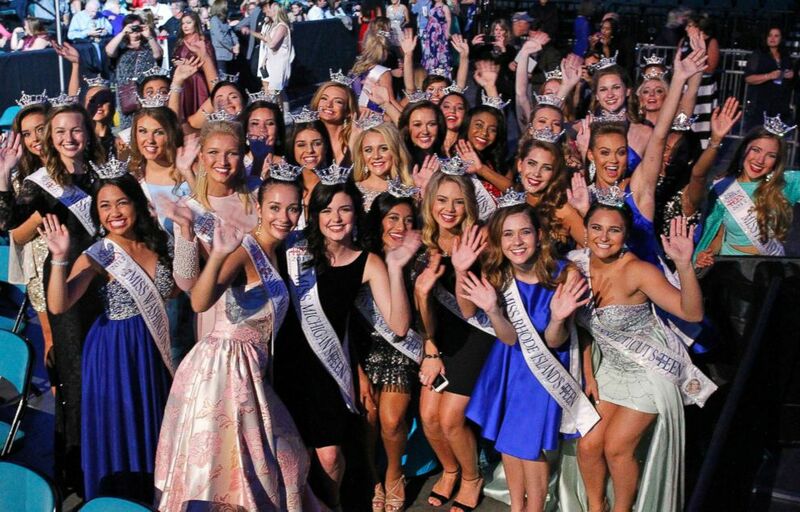 The 2018 Miss America Competition at Atlantic City's Boardwalk Hall, Sept. 10, 2017, in N.J.